The Great RussiaGate Deception all began with John Brennan. 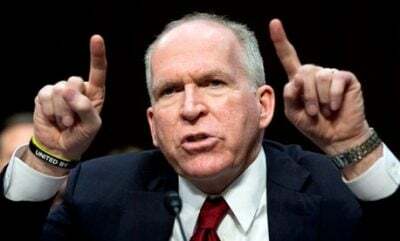 It was Brennan who reported “contacts… between Russian officials and persons in the Trump campaign”, just as it was Brennan who first referred the case to former FBI Director James Comey. It was also Brennan who “hand-picked” the analysts who stitched together the dodgy Intelligence Community Assessment (ICA) (which said that “Putin and the Russian government aspired to help…Trump’s election chances.”) And it was Brennan who persuaded Harry Reid to petition Comey to open an investigation. At every turn, Brennan was there. He got the ball rolling, he pulled all the right strings, he whipped up a mood of public hysteria, and he excoriated the president at every opportunity. For those who want to know where Russiagate began, look no further than John Brennan.